On the foundation of the domus, the Roman houses beneath the Basilica, in which the soldier brothers John and Paul were martyred at the time of the Emperor Julian the Apostate (+ 363), first an oratory was built and then a basilica. Next to it, there was also a building to offer hospitality to the devotees of the cult of martyrs and to house those who would care for the sacred buildings. However, there is little information about the buildings and their caretakers until about the year 1000. We know that the first religious dwelling was built next to the basilica on the northern side, of which there are very few traces remaining because it became amalgamated into subsequent buildings and structures of the Basilica. The documentation is more reliable after 1118 when the rebuilding and expansion of the monastery that eventually developed was completed. It extended towards the bell tower and used the mighty substructures of the Claudianum (the rudiments of the Temple of Claudius). The Titular, Cardinal Theobald, undertook this work at the time of Pope Paschal II (1099-1118). The Basilica and monastery, in fact, had been badly damaged by looting done by the militias of Robert Guiscard in 1084. The stylistic changes, in Cistercian style, and the jurisdiction of the clergy of the basilica was under the Abbey of Casamari. They provide valuable information about the monastic community that resided here. In the 15th century, a period of serious decline for the city, the basilica and the monastery fell into serious disrepair. The surviving monks were powerless to save the basilica and monastery from ruin. The Titular, Cardinal Latino Orsini, replaced the monks with the Gesuati friars of Blessed Giovanni Colombini from Siena. 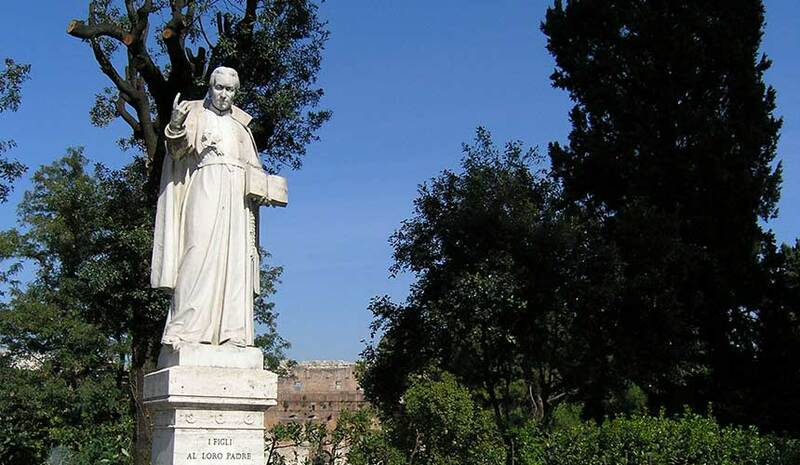 Blessed Antonio Bettini (+ 1487), founded and governed the first community on the Caelian Hill. The Gesuati resided here from 1454 to 1668. Here their ministries were typical of their movement (which later became an Order), namely works of charity and assistance to the poorest and neediest, particularly during plagues and famines (they were called the “Acquavite Fathers”, because of the distilled solution that they confected and used as a disinfectant and fragrance). Between 1624 –1630, the community numbered 50 religious. The monastery consisted of two courtyards, a vegetable garden, an orchard, two wells and a cistern, plus other adjacent land and buildings. The Gesuati were suppressed by Clement IX in 1668. From 1668 to 1671, it seems that there were Carmelite (Filippine) nuns. Then from 1671/2 to 1697, Dominican friars from England resided here. Very few religious remained until the arrival of the Vincentians (1697-1773). 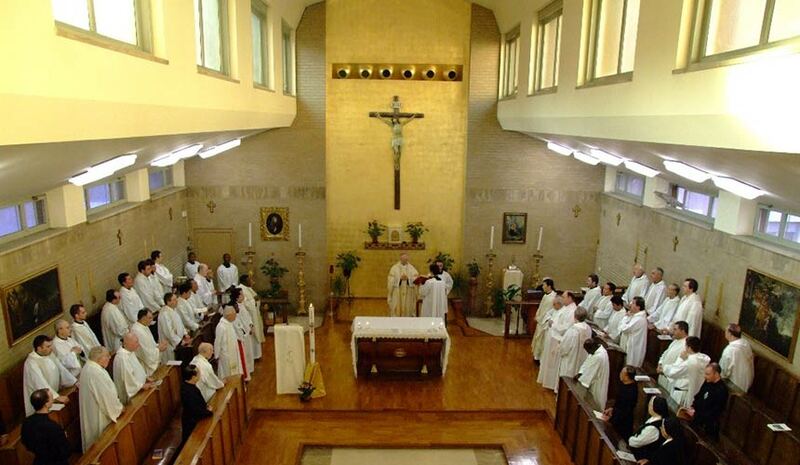 The English Dominicans were invited to Sts. John and Paul by Cardinal Philip T. Howard of Norfolk, O.P. 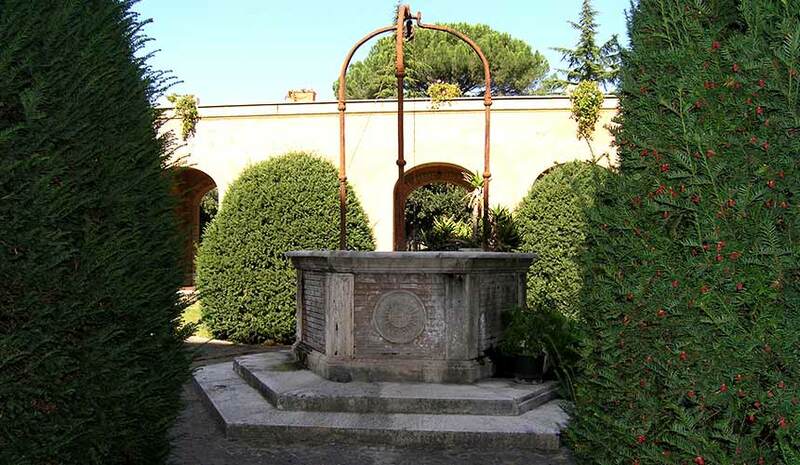 (+ 17 June 1694, Rome), to found a College, but nothing came of it. Howard brought significant changes to the monastic buildings, particularly area of the current main entrance. Innocent XII (Antonio Pignatelli) then gave then Sts. John and Paul to the sons of Saint Vincent de Paul, called Vincentians or Fathers of the Mission, “to prepare young student seminarians—for their novitiate and other functions, which require more solitude”. The House also included gardens and a good income that ensured the life of the community composed mainly of religious in formation. They provided service to the basilica and to retreatants. At the beginning, the community included 19 religious (priests, students, religious Brothers). Finally, in 1773 the Passionists arrived. 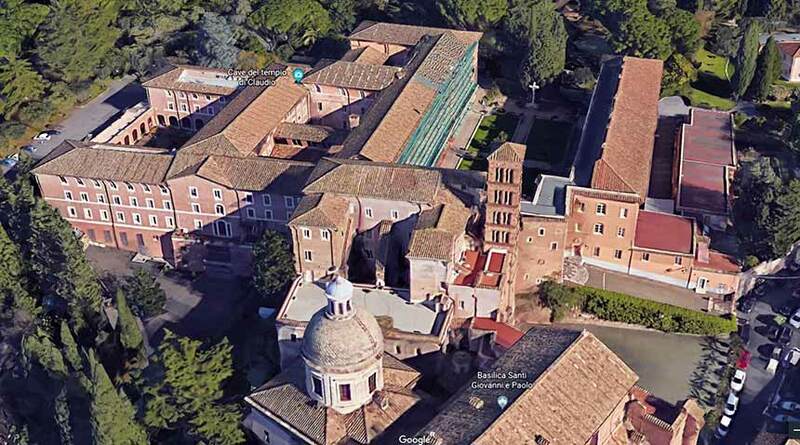 The Vincentians had decided, after the suppression of the Society of Jesus (Jesuits), to go to former Jesuit church/novitiate of Sant’Andrea al Quirinale. From there they eventually were transferred to San Silvestro al Quirinale. On 9 December 1773, Paul of the Cross, together with his fellow religious, 17 in all (who had previously lived in the Hospice of the Holy Crucifix located on the left side of Via San Giovanni in Laterano, until the piazza of the same name was redesigned), took possession of the venerable old buildings and began immediately to observe the community horarium according to the Rule of the Institute. In addition to ministering in the Basilica and receiving retreatants, the religious of the “Celimontana” community devoted themselves to the service of the entire Congregation as a Generalate. However, they not disregard preaching, both in the city and in the surrounding Roman countryside. They also served at the nearby Hospital of San Giovanni. Their ministry was always valued and appreciated and consequently in great demand. When Saint Paul of the Cross, together with his closest collaborators, entered the Basilica-Monastery complex of Sts. John and Paul on the Celio Hill, it was in the late afternoon of 9 December 1773. 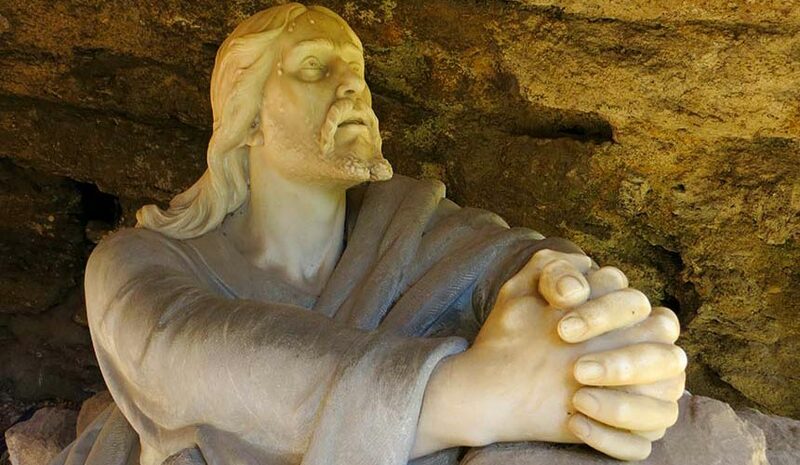 He came to live in one of the most ancient and venerated Christian sites in Rome. Since 1768, Paul and a small community lived in the Hospice of the Holy Crucifix located in Via San Giovanni in Laterano. 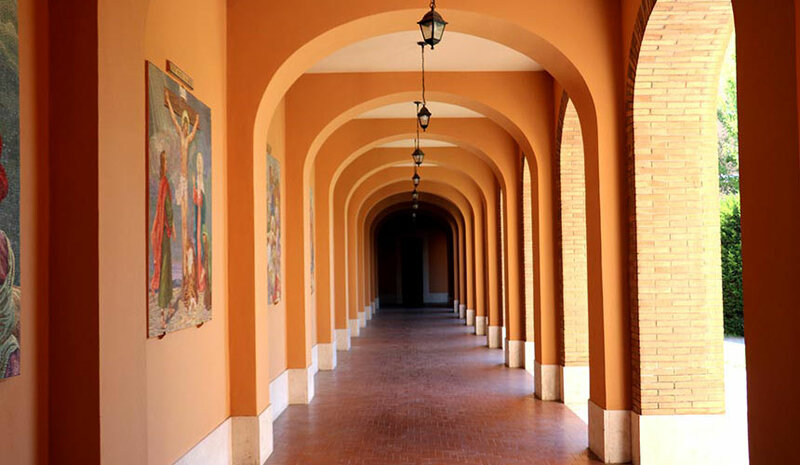 A previous project, which was unsuccessful, of establishing a stable presence in the city of Rome dates back to 1747, when they thought they could use the Church of San Tommaso in Formis with the adjoining convent of the Trinitarian religious. Paul had first visited the Eternal City in the autumn of 1721 when, full of enthusiasm, he went to the Quirinal Palace, where the Pope then resided, to request approval for the Rule and the Institute of the “Poor of Jesus”. St. Vincent Strambi (+1824) was part of the community. 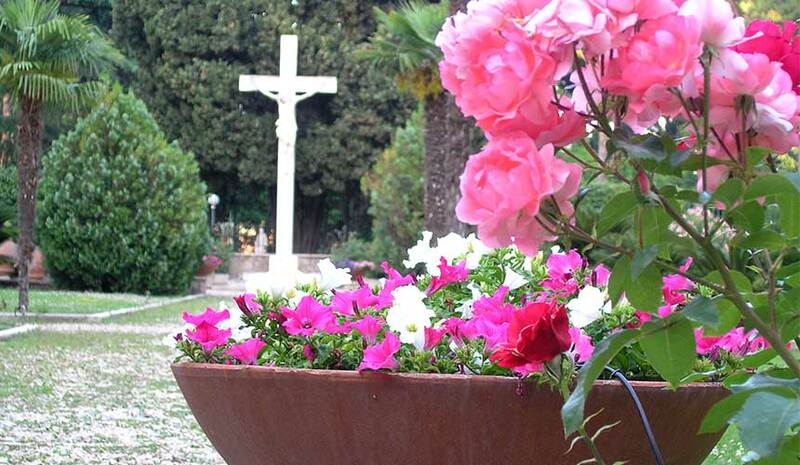 He was in charge of organizing the student residence and for providing guidelines for the retreatants that began to arrive on the Caelian Hill. Various religious served as chaplains at the nearby hospital complex of “San Giovanni-Addolorata”. At that time, the area of the Celio was almost completely depopulated. 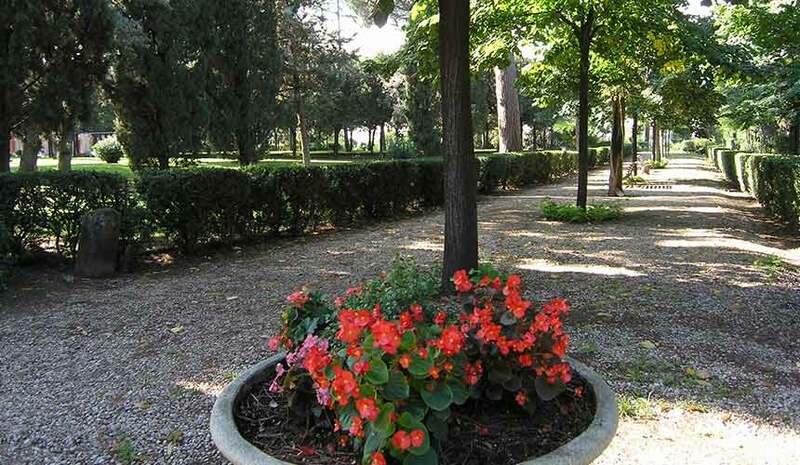 The grounds were used for vegetable gardens, vineyards and pastures. The traumatic event of the French occupation of the Papal States (1798) severely affected the Celio community. For several years, the retreat was completely abandoned. Only with the return of Pope Pius VII in Rome and the re-establishment of the Papal States, was the community reconstituted as of 26 June 1814. This is a period of intense community and apostolic fervor. The Congregation expanded beyond the Papal States and the Italian peninsula. The principal author of this activism was the Superior General, Father Antonio Testa (+ 1862). From the Celio hilltop, he governed the Congregation with a firm hand and clear-eyed vision. The Passionists exercised their typical apostolic activity in the city and in the Roman countryside, even in areas infested by malaria. Many poor, who were assured bread and at times even a hot meal, flocked to the front door of the Retreat. Another great trial for the community of the Celio occurred at the end of the existence of the Papal States and the capture of Rome by the army of Savoy (20 September 1870). 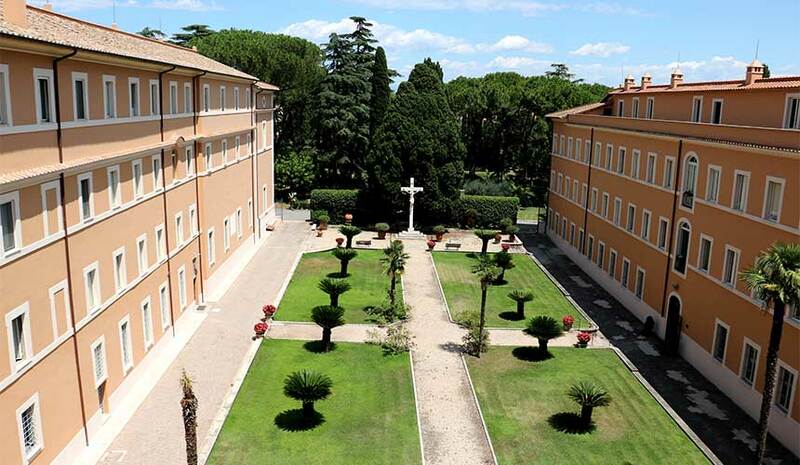 Fortunately, the abolition of the community was averted because the retreat was reserved by the Vicariate of Rome as the retreat house for the Roman clergy. The Lateran Treaty (1929) reaffirmed this characteristic of the House on the Celio. Among the most prominent personalities present on the Caelian Hill during the last decades of the nineteenth century, Blessed Bernard Silvestrelli (+ 1911) shines with special brightness. In the wake of his predecessor, Father Antonio Testa, he promoted the expansion of the Congregation while maintaining fidelity to the origins of the Institute. Among other religious that graced the community during this period include the Venerable Fr. Nazareno Santolini (+ 1930), Fr. Norberto Cassinelli (+ 1911) and Fr. Germano Ruoppolo (+ 1909). Closer to our times, the Venerable Brother Gerardo Segarduy (+ 1962), the door keeper for many years at Sts. John and Paul, is an outstanding model of holiness and humble service. Between the years 1930 and 1960 of the 20th century, it was necessary to enlarge various sectors of the Generalate building in order to enhance functionality. Between the years 1950 and 1970 present on the Caelian Hill, among others, was the Superior General, the Servant of God, Fr. Theodore Foley (+ 1974). Additionally there were great intellectuals such as Fr. Gerardo Sciatretta, Fr. Enrico Zoffoli, Fr. Paulino Alonso Blanco (+ 2007) and Fr. Fabiano Giorgini (+ 2008), as well as religious who served in the offices of the Holy See, including Fr. Ladislao Ravasi. Still today, the community of Saints John and Paul is a fixed reference point for all components of the Passionist Family.